Yearlings and show prospects available that are not listed. Call Dean or Mitch for more information. 2014 15'2 hand sorrel gelding, shown in Trail and WP this year. Winner of IQHA Breeder's Open 3 yr old WP. Has potential to be a great all around horse for youth or amateur. Call Dean Adkins at 515-570-4249 or Mitch Adkins at 515-229-8374. 2013 bay gelding by Blazing Hot out of Good N Dandy Sassy. 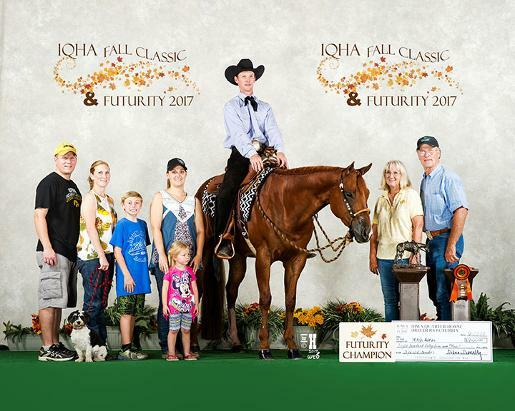 Most recently earned Circuit Champion Level 1 Trail at the Minnesota State Show in March of 2019, first time shown! Also received 3rd place in Novice Amateur at the Level 1 Novice Championships, central division, top 5 at Silver Classic in the non-pro 3 WP, top 10 at the Congress as a 2 yr old, and point earner in Amateur and Junior WP. Will continue to be shown in Green trail and has potential to be a great all-around horse. Call Mitch for price inquiry at 515-229-8374. 2 yo AQHA/ABRA buckskin filly by Blazing Hot. Betsy has around 45 days training. Great disposition and wants to please. 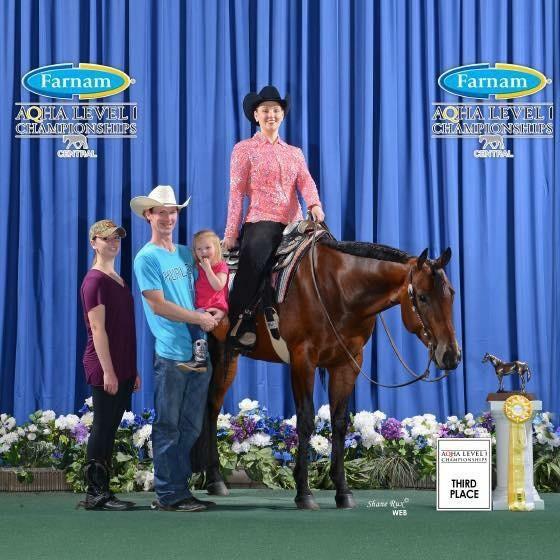 Full siblings have been top 10 at AQHA Congress and 3rd AQHA Novice Championships in Western Pleasure, Reserve ABRA World Champion in Equitation.